Your adventure begins when you drive through the club’s iconic entrance gate. There, you will find what skiers discovered more than 50 years ago – a winter playground. Beaver Valley offers all the benefits of a private ski club: short lift lines, uncrowded ski hills, top-notch programs and a full social life. Yet, it remains a hidden gem. Beaver Valley is the perfect place for active families looking to belong to a relaxed and welcoming Club where they can spend quality time together and foster new friendships. The Club is known for its great terrain park, its signature run, Avalanche, and its friendly atmosphere. It provides young families with an attractive and affordable option for Private Club Membership. 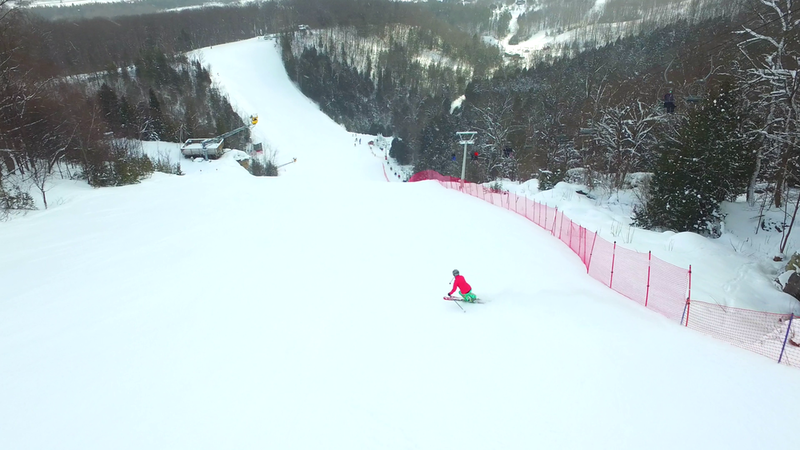 We have 20 runs that are groomed daily, great terrain parks, glade skiing, plus a variety of terrain for all abilities. And, of course, our signature run, Avalanche: The steepest groomed run in Ontario with a rich history of daring adventures for great storytelling! The Beaver Valley Nordic Ski Club maintains 12 kilometres of trails at the top of the hill for you to enjoy. Located at the top of the hill, this Clubhouse is smaller and quieter than the Main Clubhouse. It offers lockers and a Cafeteria. Located at the base, this outpost provides sales, service and rentals of snow equipment and accessories. We operate 6 chairlifts that can get 8,500 people uphill each hour – this means less time sitting and more time skiing! We have a variety of snowshoe trails that you can access right from the ski club. Whether you are looking for an easy social snowshoe, or want to work up a sweat, you will find a trail for you. The Clubhouse is conveniently located at the base for all your needs. There you will find lockers, the playschool, Club office, information desk, cafeteria and different eating areas. The adult-only Members Lounge is a great place to warm up beside the fire while having an Après drink or listen to live music on a Saturday night. Ready to start your winter adventure?